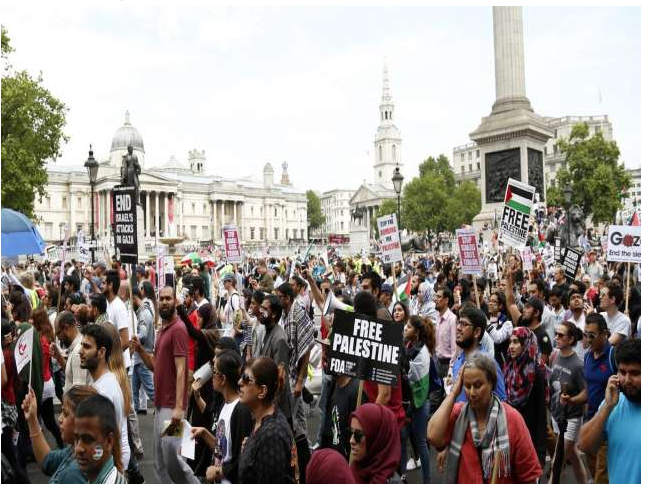 July 26, 2014 Demonstrations take place across the UK in support of Palestine and in protest against the Israeli onlaught on Gaza. World Bulletin / News Desk At least 50,000 people are attending a pro-Palestinian demonstration in London outside the Israeli embassy in protest against the onslaught in Gaza. The rally on Saturday, organized by an umbrella group of organizations including Stop the War Coalition and the Palestine Solidarity Campaign, assembled at the Israeli embassy for a march to the UK parliament where they said they planned to call for Israel’s attack and killings to stop and for British Prime Minister David Cameron to ‘stop supporting Israeli war crimes’. 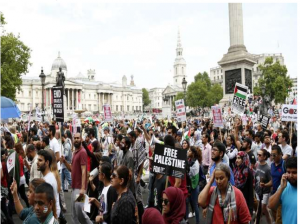 Protesters carried banners and placards declaring ‘Freedom for Palestine’ and ‘Stop Israeli state terror’ as they marched along streets lined with police officers. Police officials estimated about 50,000 people attended the launch of the rally, while organizers said the protest appeared to be becoming as large as one staged last Saturday in London, in which 100,000 people took part. 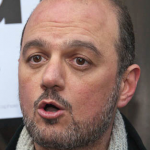 The demonstration in London was made up of a diverse group of people, including Muslims, Jews, atheists, and many left-wing groups and was also co-organized by the Campaign for Nuclear Disarmament, Friends of Al Aqsa, British Muslim Initiative, Muslim Association of Britain and the Palestinian Forum in Britain. Similar but smaller demonstrations were held across the UK including the cities of Birmingham and Newcastle. The groups identified as demonstrations organizers are the same as those who organized similar events in November 2012 to protest Israeli action in Gaza at that time. Conspicuously absent is the far-left Stop The War Coalition.